Pain can disrupt your life. We can help! We see patients in all conditions from acute pain that started this morning to chronic pain that has been disrupting your quality of life for decades. At Advantage Chiropractic Clinic we work to get patients out of pain and back to living life as quickly as possible. Our objective as your doctors is to work as quickly, and as compassionately as possible to uncover the source of the problem and move toward providing you lasting relief. Check out some of the different chiropractic techniques below that we use for pain relief. If you’ve been to a chiropractor before and prefer to be adjusted in a particular way, let us know. 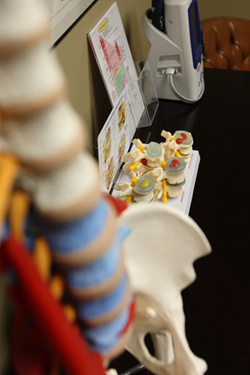 We want you to relax, enjoy and fully benefit from your chiropractic care. Call us today to get started!